This detour from my degree course began with a throw of a dice which lead to 'A History of the World in 100 Objects'. 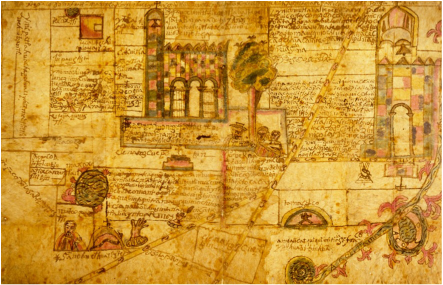 From this book my collaborator chose an image of a 16th century Mexican map called a 'Codex'. Eventually it was decided to extend the collaboration dimension by organising an open invitation, one day drop-in workshop for any students who would like to take part. On the day, which extended into a second day, a large un-stretched white painted canvas was hung on a studio wall and the original image projected onto it. Participants were free to paint what they liked but should work as far as possible within the structure of the map itself. On the second day the map was gradually obliterated with white paint. 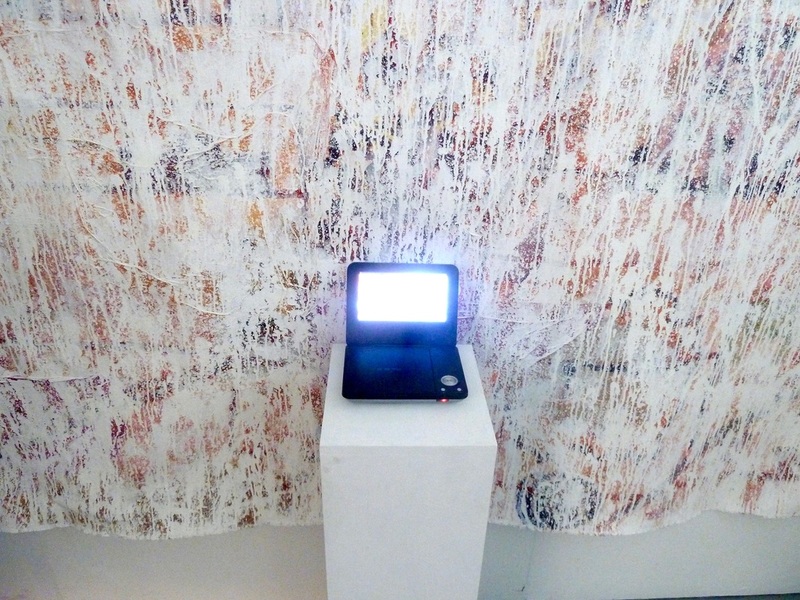 In the degree show the 'finished' canvas was shown together with the video shown here - the whole thing taking on a history of its own. After the exhibition the canvas was torn into sections and distributed to all who had taken part.